The initial release of libcrabclaw is now ready. Get it on the download page. I'll probably shorten down the URL sometime after I decide if that will stay the permanant home of ljsdcdev. 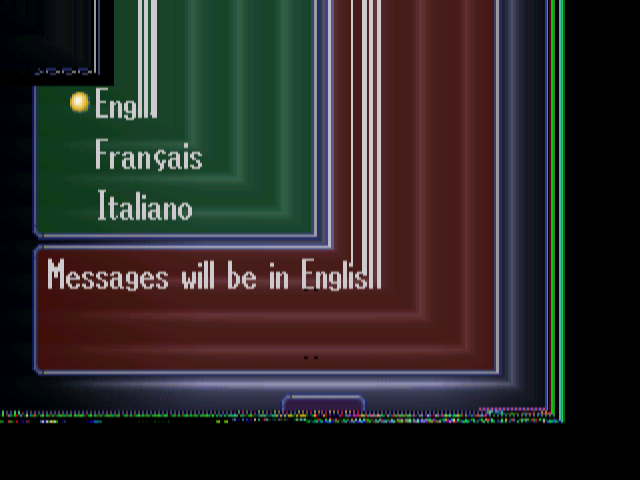 Ph33r what happens when using DMA on the Dreamcast, in a cached area of memory, without flushing the cache. (and also what messing up on a coordinate will do). Okay, here's the source and binary to Project L. From now on, it should be referred to as yabause-dc. Please read the README.DC file for important information. 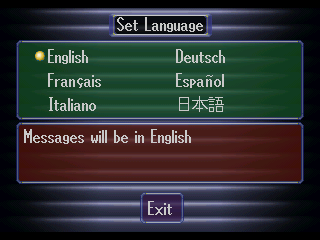 For those of you that don't know, that is the language screen of the Sega Saturn BIOS, and yes, that is running on the Dreamcast. Project L is a port of the Linux Saturn Emulator yabause. That's all I have to say, for now. 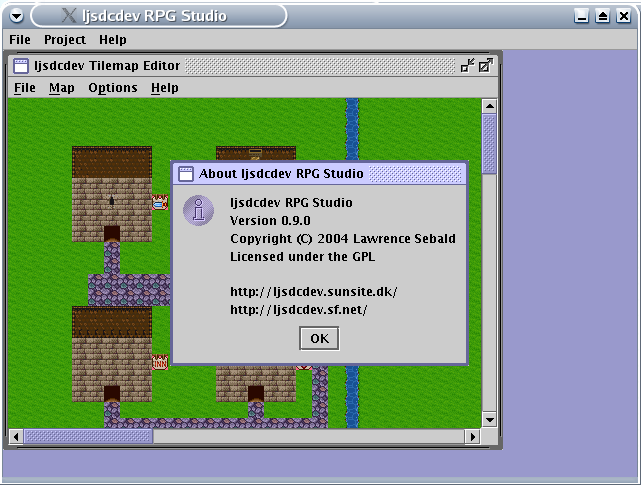 Q1: What is ljsdcdev RPG Studio? A1: ljsdcdev RPG Studio is my attempt at making something to ease the development of Role-playing games, across multiple platforms. The Studio itself is written in Java for cross-platform ability. The engine that drives the games is the same one that has been seen in all of the ljsdcdev demo releases, with a few extras. Q2: Does this mean that ljsdcdev RPG is dead? A2: Absolutely not! In fact, the RPG studio was started as a way to make my life easier, but I figured others might be interested in it as well. In short, ljsdcdev RPG is not dead, nor will it be any time soon. Q3: When will it be released? How far along is it? A3: It will be released "when it is ready". Right now, most of the underlying code to generate the data files needed by the ljsdcdev Demo 6 engine is there, but much is uneditable because I haven't had time to implement dialogs to edit them with. As of today, I'd estimate its about 50% ready for a first release. (Once again, no timeframe as to when said release will be). Thats all for right now, but feel free to contact me with any questions, they may just make the next segment of Q & A. A new face of ljsdcdev? I'll just let this speak for itself for now.... more later, maybe. Well, I still haven't gotten the site working yet, but I figured that I would put up a mock-up of the news page in the mean time... More later perhaps. All information provided on this page is copyright by its contributer. You are welcome to use information stated on this page as long as you give us proper credit for the information. All information stated on this page is given with NO WARRANTY, and is for use at your own risk. ljsdcdev is in no way associated with Sega. This site is powered by phpslash - Copyright � 1998 - 2002 and Licensed under the GPL - No warranty is, has, or will be given in any way whatsoever to anyone.